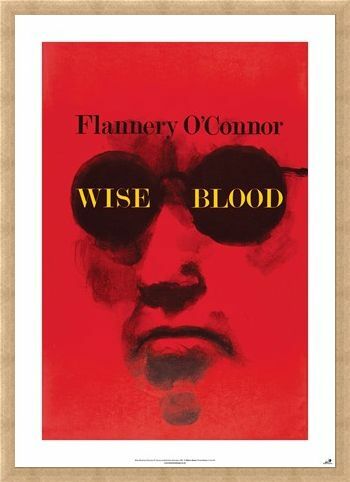 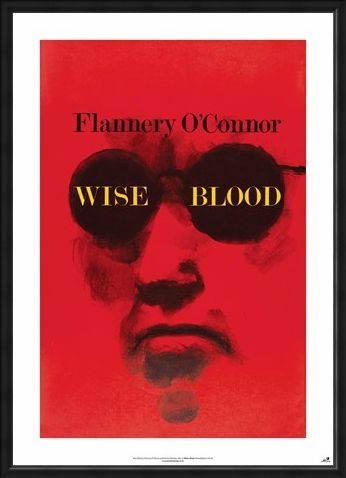 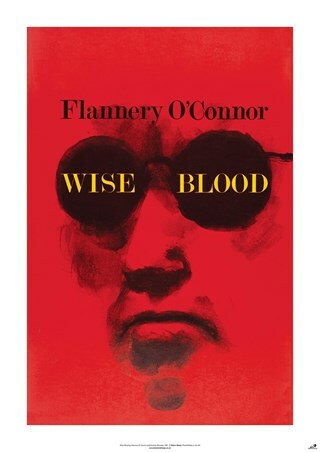 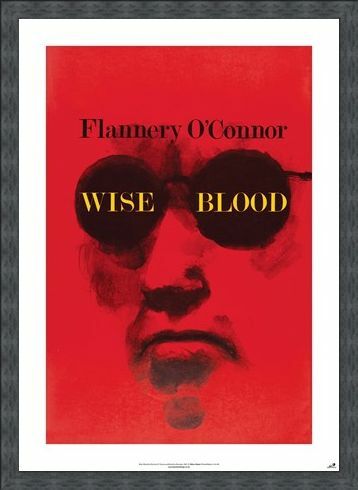 Art Poster: First published in 1952 by the American novelist Flannery O'Connor, 'Wise Blood', originally received little attention until later on its journey when it was recognised for its "low comedy and high seriousness". 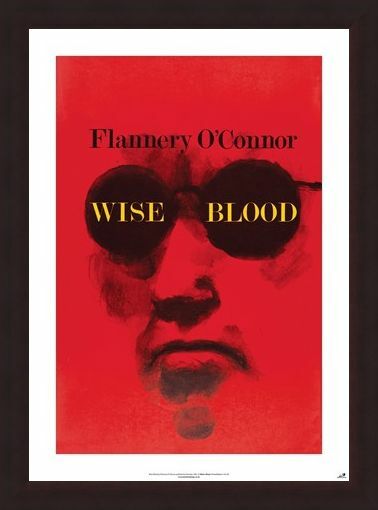 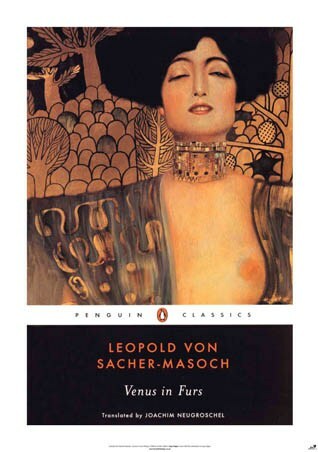 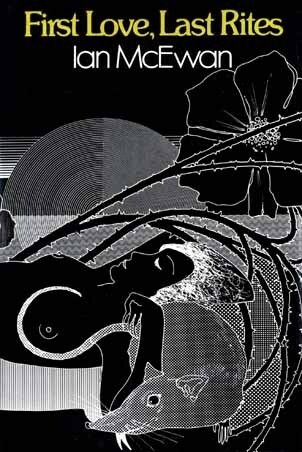 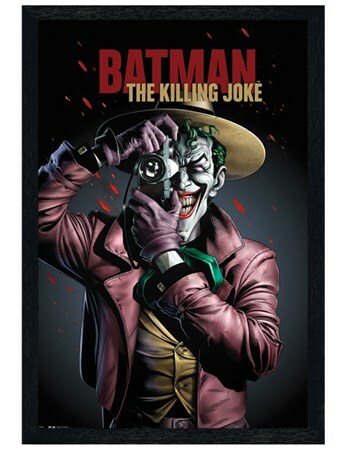 Showing the face of a man in thick black glasses, this piece of book cover art shows a striking and elusive image which is sure to prompt your inquisitive side. 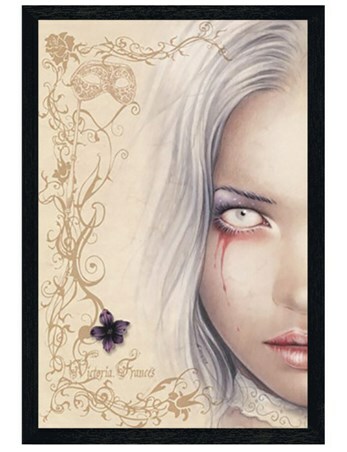 Perfect for displaying on your wall as a centre piece or part of a collection, this red tinted illustration is a must for lovers of classic literature. High quality, framed Wise Blood, Flannery O'Connor poster with a bespoke frame by our custom framing service.